Now we are in April and Easter nearly upon us the growing season is here and as allotmenteers we have plenty of plans for the coming year. If you've never done it before then being able to grow your own vegetables may seem like something that can't be achieved if you don't have an allotment or a large garden but I know that isn't true. Before we got our allotment we were able to grow all manner of fruit and vegetables in our small garden. Even now we still have a number of things growing in the garden as there's nothing better than picking something fresh to eat or cook with straightaway. If you want some help with what to start with then Suttons and Dobies, both premium seeds retailers, can help with what seeds to sow, how to grow them and what to use your homegrown produce in. I think growing salad items is a brilliant thing to do at home. How many times have you bought some salad leaves only for them to have wilted before you get to eat them? I'm sure we have all found a packet of radishes or spring onions lurking at the back of the fridge looking rather sorry for themselves. The solution to this wastage problem is to grow your own so you can pick what you immediately need when you want it. To add some flavour and texture to your salad spring onions and radishes are perfect additions. I usually grow both of these in pots but you can sow them directly into the ground. They love a bit of sunshine and warmth so wait a couple of weeks so the spring chill has gone before sowing them. Then they will be ready in time for your summer salads. The photograph above is of my potatoes just being prepared to be put in at the allotment. We have several varieties to grow throughout the year so we will have potatoes to mash, roast, sauté, boil and to have as jacket potatoes. We grow potatoes in trenches at the allotment and as the leaves start to grow we draw the soil up and around the leaves. The other great way to grow potatoes at home is in a special potato bag. This can easily be put on a patio where you can keep an eye on them. As the sprouts appear cover them up with compost and keep doing this until the bag is full. Water the potatoes after this and wait until the leaves start to go yellow. This means the potatoes are ready to harvest. Turn all of the bag out and sift through for your potato bounty. To keep any excess potatoes store them in a dry, dark bag. I love to go blackberry picking in late summer but the problem I always encounter is thorns! There are now cultivated varieties such as Apache which you can grow at home which are thornless. If you don't want the blackberries to spread too much and go wild you can train them to grow along wires or up a wall. Fresh blackberries are not only great for jams, jellies and crumbles but are perfect for jazzing up some overnight oats or adding to a fresh fruit salad. I tasted some fresh peas straight from someone's vegetable patch last year and decided I must grow some at the allotment. I've just put them in this weekend straight into the ground. Other people like to start them off in loo rolls or homemade newspaper pots which can be put straight into the ground once ready. Make sure you net them once they start to grow as they are a favourite of pigeons. They also need some support from either bamboo canes or even better some pea sticks such as hazel twigs or other branches. Once they are ready I defy you not to eat them straight from the pod! If you're looking for something a bit different then think about getting a goji berry bush. As long as you have a sunny spot this shrub can thrive in the British climate even with the wind and the rain. This means that even if you just have a balcony you can still have your own fresh fruit. Goji berries are very popular for the amount of nutrients in them. Make them part of a fruity smoothie or add some of the juicy berries to your morning cereal. Who knew that you could grow such exotic fruit at home? 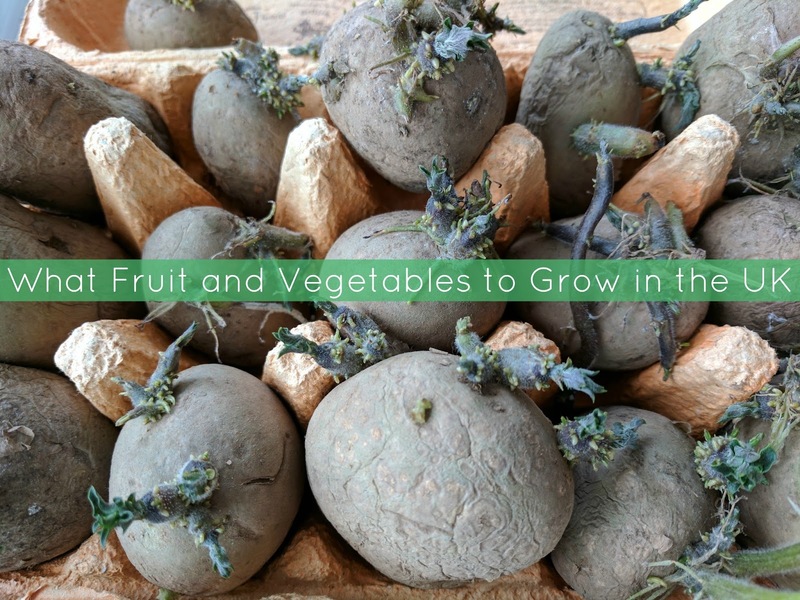 Do you grow fruit and vegetables at home? What's your homegrown favourite?